Help bring the story of Mia Slavenska to a worldwide audience! Friends, we need your help. Please visit this page and support "Mia, a dancer's journey" with your tax-deductible donation. You can choose one of our great thank you gifts for participating. Please share this post with your friends to help us meet our goal before our deadline. We can't do it without you. Help us bring Mia home! Thank you! FIRST, We want to thank all of our supporters who last year helped us raise the funds to deliver Mia, a dancer's journey to PBS SoCaL where it premiered on November 20, 2014 and received great ratings. Since that first broadcast, Mia has aired on PBS stations across the USA and has been honored with a Los Angeles Area EMMY(R) Award in the Arts/Culture and History category, a Gold CINDY Award, and Two Silver TELLY Awards. Now, In order to make sure that Mia's story doesn't fade away with the last PBS broadcast, we are asking you to help us to raise the funds necessary to take the next step in distribution. Poorhouse International, a prestigious arts films distributor, wants to distribute the film internationally through T.V. broadcast and DVD/Blu-ray and Video on Demand. And, Croatian National Television wants to broadcast Mia in 2016 in conjunction with Mia Slavenska’s 100th birthday celebrations, now being planned by the dance and artist communities in Zagreb, Croatia. However, We can't deliver the film without first paying for music licensing fees and other distribution costs. Be a Part of this journey to bring Mia home and to make sure that the film reaches an international audience. Mia, a dancer’s journey is the story of Mia Čorak Slavenska, Croatia's greatest ballerina and a pioneer in American dance. The film is voiced by Emmy(R) award-winning actress Blythe Danner and features a daughter’s promise to tell her mother’s story, which becomes a fascinating and moving reflection on historical memory, national identity, and the power of dance. Your tax deductible contribution will go towards the following. Please see our thank-you gifts in Perks section, including Download, DVD, Blu-ray and rare, original photos, hand signed by Mia Slavenska, Alicia Markova, and Alexandra Danilova. "…the moving story of Ms. Slavenska is a reminder of how easily history can slip away in the ephemeral world of dance." “A 55-minute jewel that brings to life not only the stunning ballerina with riveting stage presence, impeccable technique and artistry to burn, but a determination to bring the European art form to American audiences." Mia Slavenska danced at a time before dance was routinely recorded as it is today. 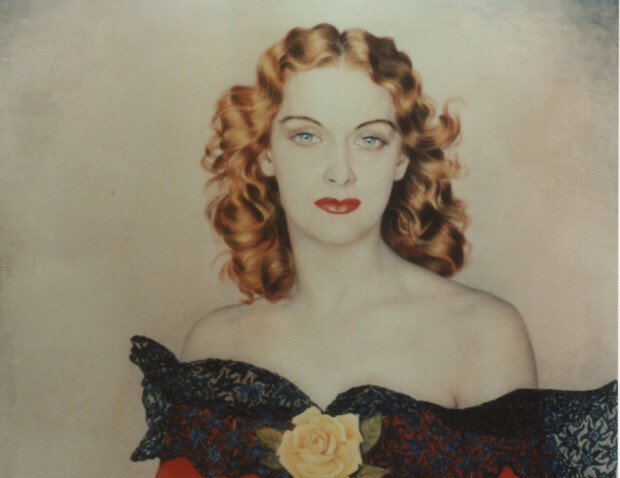 Thus, the artistry and aesthetics of artists like Mia Slavenska are hard to reclaim. Through the use of very rare archival footage, photographs, and first-person accounts by Mia and her contemporaries, many whom have since passed away, this film allows us a rare glimpse into a lost time in dance history and brings to life one of that time's most vibrant and forward-looking artists. "Mia is a symbol of freedom for Croatians." 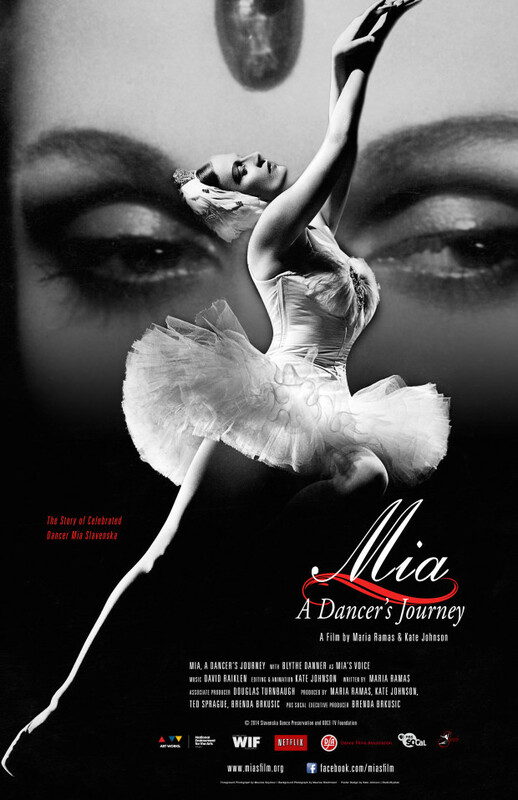 Mia, a dancer’s journey is not only a film but also a cause. We are returning to a nation the story of a dancer it lost. We are refusing to let a great artist be forgotten, and we are remembering that, yes, art in all its forms does matter. Because this film is already completed and has a great distributor and a great team in place, the only real risk is that we are unable to raise the funds necessary to move forward. 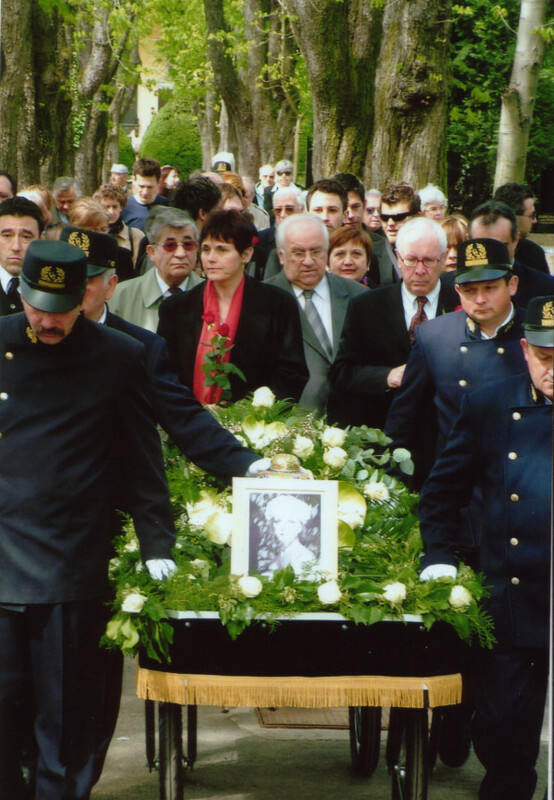 However, we believe in you, our supporters, to help us take this final step to ensure that Mia Čorak Slavenska's contributions to American and Croatian dance are remembered. Dance history will be the richer for it! Even if you cannot contribute, you can help us by getting the word out to your friends. Make sure to use the Indiegogo share tools.